The Modern Shadow of the Colossus is right here! Kickstarter has been a great help for developers since the last few years. We’ve seen games like Pillars of Eternity, Double Fine Adventure and Wasteland 2. Now it’s time to talk about the modern Shadow of Colossus – Prey for the Gods. 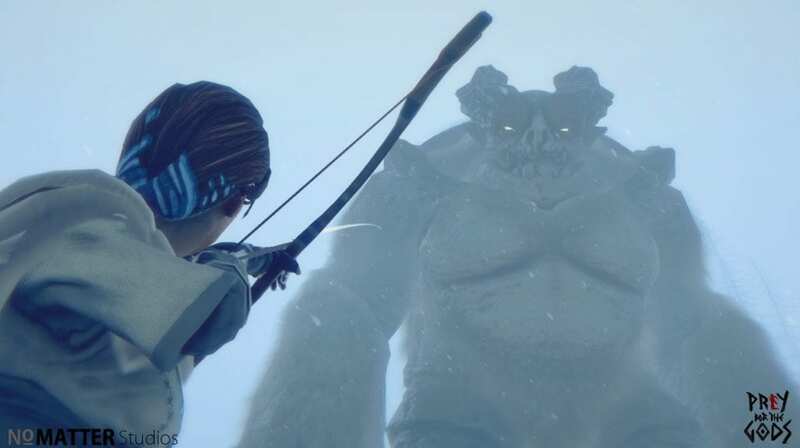 Prey for the Gods is an upcoming action-adventure by No Matter Studios. The San Francisco based studio is a three-man team consisting of Brian Parnell, Hung-Chien Liao and Tim Wiese. The team has been working on the game since the last 2 years and have been backed by 13,029 individuals raising $439,808 already on Kickstarter. The game’s gameplay is similar to of Shadow of the Colossus, Deus Ex, DayZ, and BloodBorne (mostly Shadow of the Colossus of course). The game will have almost 5-8 bosses that will take you to a tight-packed adventure on a desolated frozen island. The game is likely to release in December 2017 on Steam, PS4 and Xbox One. A Mac version should be out there once the developers reach the Animator/Mac Version stretch goal. You can back the project and help No Matter Studios funded for further development of the game. The project will be funded on August 6. Check out Prey for the Gods FAQ Page, follow it on Facebook & Twitter, and sign up for their newsletter for future updates. Keep in touch with Spiel Times for more gaming, technology and esports related information, news and stuff.